Hello there! Here is a sneak peak into my life..
Rev. Justin Sabu is an upcoming Revival speaker and evangelist who preaches the uncompromising message of the gospel with the demonstration of signs and wonders. Obeying the call of God to preach the Good News of Jesus at the age of 8, he has been preaching fervently in 3 different languages throughout India and the United States. 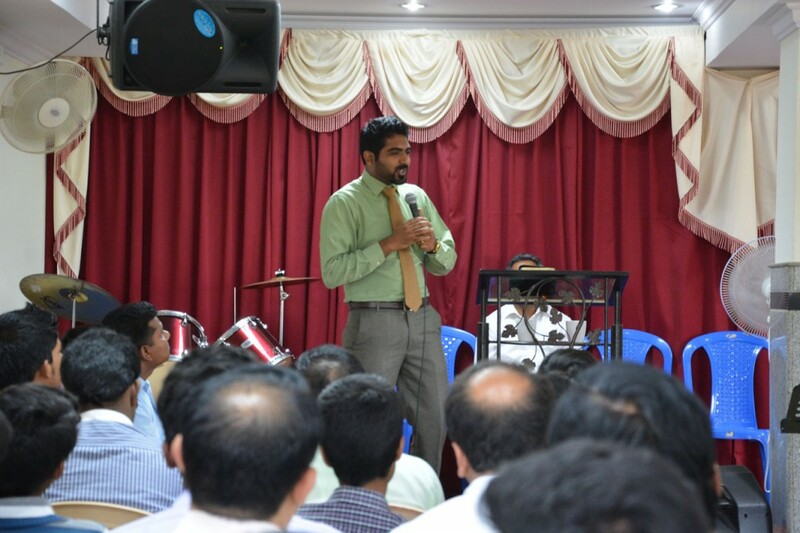 While he pursued his theological studies at SABC, by the grace of God, he planted a branch-church for TAGC in Bangalore, India which he pastored for 2 years. Upon the completion of his B.A in Theology from SABC, he co-pastored TAGC. When he was 21 years, he was ordained by the Assemblies of God (South India) who recognized him as the youngest minister in their region. Rev. Justin Sabu relocated to the United States to pursue his higher studies. He lives with his wife, Rev. Anisha J. Sabu, a minister with the Assemblies of God, USA. Together they travel, preach, teach, train and show the love of Jesus to people of every nation, language, tribe, and tongue. They recently planted a Hindi Satsang under International Assembly of God, AZ which he raised a team to continue the ministry upon their transition to Springfield, MO. Justin was born in Bangalore, India to God-fearing parents and they moved to Ambala, Haryana for 4 years because of his father’s military posting. 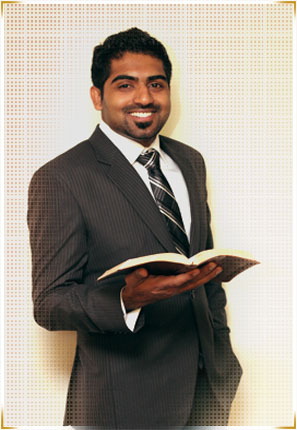 Upon moving back to Bangalore, he received the divine call of God for ministry. Bearing a Bible too heavy for him to carry and facing an audience 4 to 5 times his age, God was pleased to use this 8 year old to preach His Words of life at a small group in the local church. That was the beginning! Justin’s father, Rev. Sabu K.O founded the Tabernacle Assembly of God Church in Bangalore. Growing-up, Justin continued to fervently preach the gospel and be a helping hand in pastoral responsibilities. However, knowing the hardships of a minister, he began to slowly venture into the engineering field. In 2007, God dramatically called him by name among a crowd of 5000 and separated him for full-time ministry. Upon this confirmation, he decided to pursue his theological education at Southern Asia Bible College. While he was studying at SABC, God enabled him to plant a church and he pastored this faithfully for 2 years. 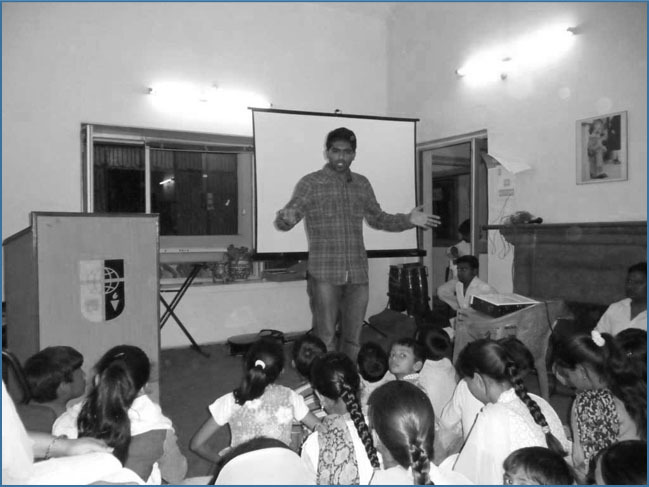 He received his pastoral ordination in 2012 and was recognized as the youngest ordained minister in the Assemblies of God, South India. Upon graduating from SABC with a B.A in Theology he co-pastored the TAGC with his father, pastoring, teaching, preaching, and planting more branch-churches. In 2012, he married Rev. Anisha J. Sabu, a minister with the Assemblies of God India and a graduate of CBC, Springfield, MO. Obeying the leading of God, they re-located to the United States to pursue higher education. In 2013, they planted a Hindi-Satsang, a branch-church for International A/G which is reaching more and more people for the Lord. To invite Rev. Justin to minister at your Church, Event or Conference please see our Invite page.